Allegations of sexual misconduct against Batali were first reported in December. Authorities have launched a criminal investigation of restaurateur and celebrity chef Mario Batali, a New York Police Department spokesman confirmed Sunday. It wasn't immediately clear what incidents the police were examining. Batali was fired from ABC's "The Chew" in December and took a leave of absence from day-to-day operations of his businesses after the foodie website Eater.com reported allegations of sexual misconduct. The investigation was first reported by CBS' "60 Minutes," which aired interviews on Sunday with several former female employees of the Spotted Pig, a restaurant Batali invested in and frequently visited. The women alleged that Batali and the restaurant's co-owner, Ken Friedman, sexually harassed or assaulted them. 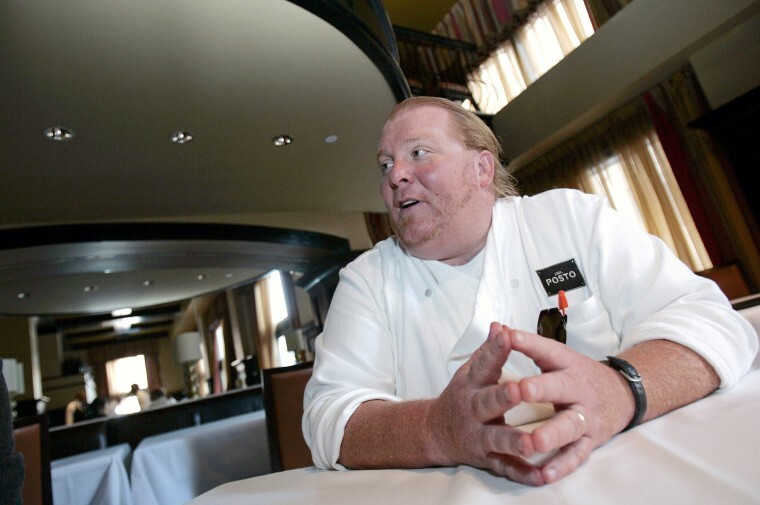 Batali in a statement "vehemently" denied any allegations of sexual assault. "My past behavior has been deeply inappropriate and I am sincerely remorseful for my actions," he said, adding that he was "not attempting a professional comeback." Batali apologized after the allegations were reported in December, saying: "Much of the behavior described does, in fact, match up with ways I have acted. That behavior was wrong, and there are no excuses." In a statement on Monday, the Spotted Pig said it was "committed to providing a work environment free of any form of harassment and has ensured in recent years that all proper policies and procedures for handling employee relations matters are in place." The statement added that after employees alerted Friedman to their discomfort with Batali, the chef was told that he could no longer hold parties there. Friedman did not respond to a message seeking comment, but in a statement to "60 Minutes," he said he had "focused intently on what we could and should have done better, on my own personal decisions and mistakes for which I have apologized." A spokesman for Friedman added that he "vehemently denies any non-consensual activity." A woman who alleged to "60 Minutes" that Friedman assaulted her "never issued a complaint," the spokesman said, "and expressed ongoing affection for him."